Delhi Capital's Kasigo Rabada's yorker in the super over against KKR's Andre Russell was so good that it is being hailed by Sourav Ganguly as the 'bowl of the tournament'. 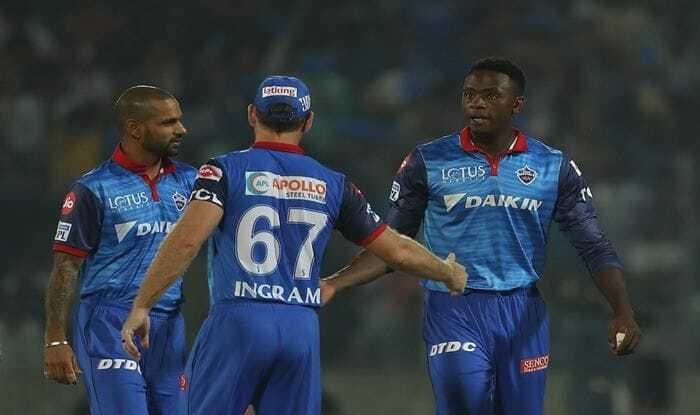 Paceman Kagiso Rabada defended 10 runs in the Super Over to steer Delhi Capitals to a thrilling victory over Kolkata Knight Riders after the home side made heavy weather of a run chase on Saturday. Former India captain and Delhi Capitals advisor Sourav Ganguly termed Kagiso Rabada’s match-winning yorker to KKR’s Andre Russell as the “Ball of the IPL”. Chasing 186 to win, Delhi Capitals were set up nicely by Prithvi Shaw’s 99 off 55 balls but they could not score six runs from the last over, bowled by chinaman Kuldeep Yadav, who held his nerves to give KKR a chance to steal a win.